Cathay Pacific launched their new Premium Economy cabin in the middle of 2012, and it’s now available on almost all of Cathay’s Australia to Hong Kong flights, and along with their new Business Cabin, is being rolled out across all of their long haul routes. 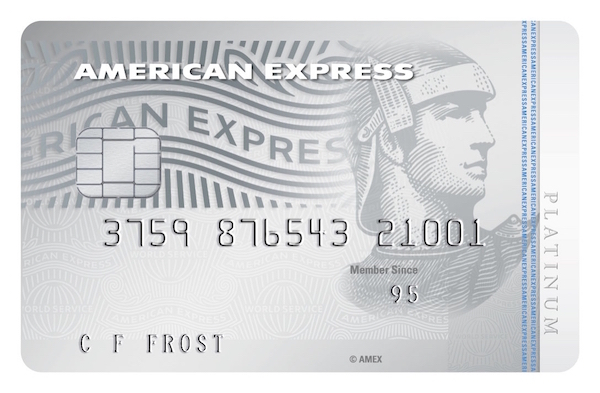 It creates a great new option for those wishing to redeem their Qantas points in Premium cabins for a bit more space and improved service. I’ve travelled in Qantas Premium Economy several times to Hong Kong, Los Angeles and from Singapore, on both Qantas 747 and A380s, and the Qantas A380 to me is the benchmark for Premium Economy. Seats should be spacious enough for you to recline and stretch out without your feet and knees being significantly impeded, or having someone recline into you. 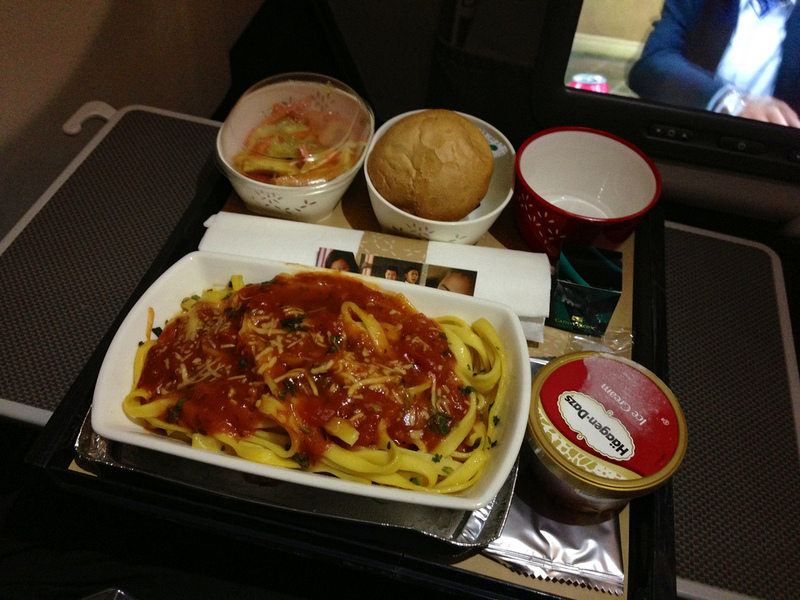 Food should be improved on that offered in Economy, and service should be attentive if not that personal. 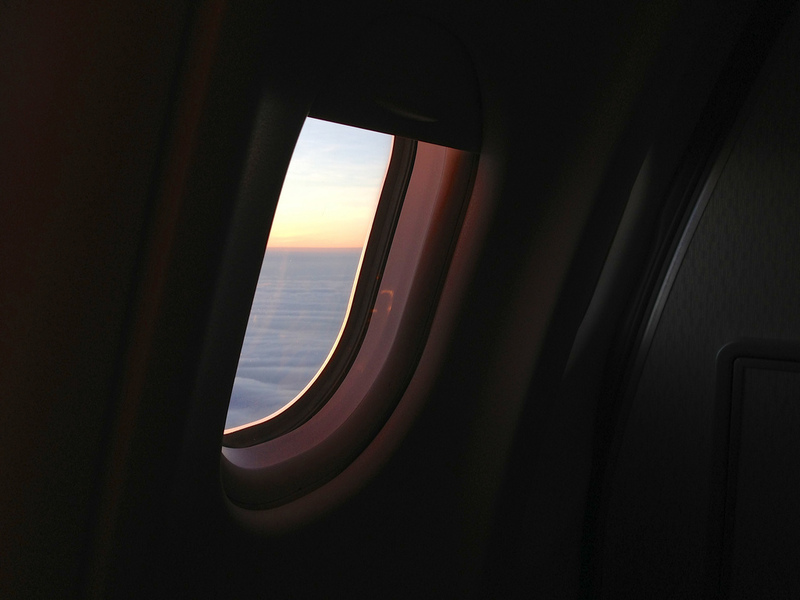 Premium Economy should allow you to get through a flight without despairing about how long you have left to fly. Qantas manages all of the above, with a quiet and comfortable atmosphere – especially on it’s A380s – and I’d expect no less of Cathay Pacific’s Premium Economy offering. I was going up to Hong Kong for two days, and flew up on a day flight, CX162, and back overnight on CX111. 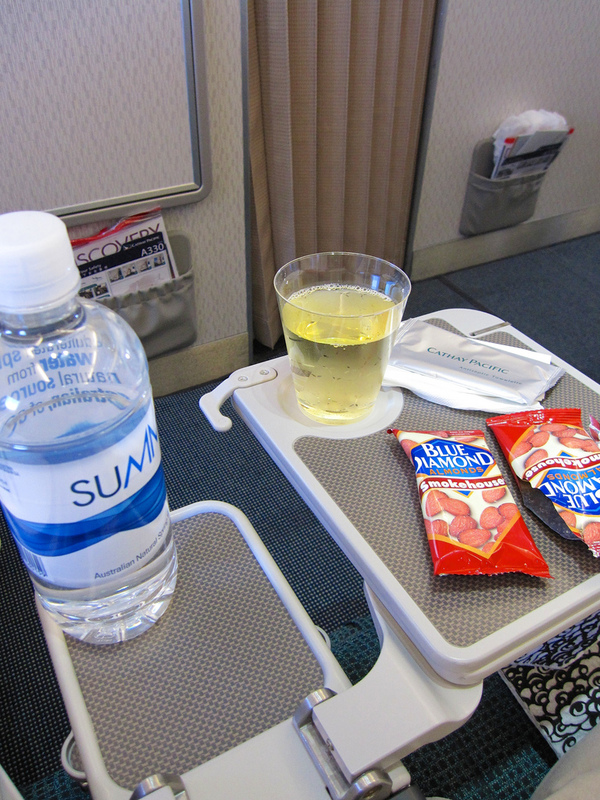 Given my priority on the return was a good sleep, I didn’t take many pictures, so I’ll combine my experience of both flights into one for a roundup of my thoughts on Cathay Pacific’s Premium Economy seats, service and food. Cathay’s Premium Economy seats are pretty roomy, especially if you can secure the first row bulkhead, which I managed to do with an empty seat next to me on both journeys as a Qantas Gold frequent flyer. The bulkhead seats do offer extra legroom, but the standard seats seemed fairly respectable with a decent area to put your feet and no knees on back of seat issues. The seat recline was good, and I was able to push the seat far enough back to get around 4 hours of acceptable sleep (after a couple of whiskeys) on the overnight return flight. 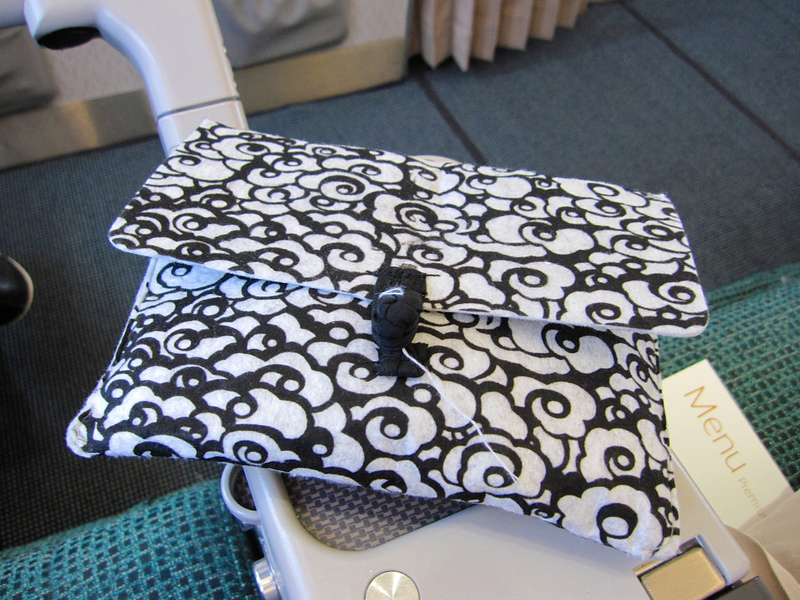 Cathay Pacific have put a decent amount of work into customising the seat with some small additional features, such as a small drink tray, and if you have a seat in front of you, a small pocket for glasses and things under the large IFE screen. I found the main drawback of the bulkhead was that the IFE screen necessarily extended out of the seat armrest, meaning it was both off centre too low for extended comfortable viewing. A regular seat with the screen on the back of the seat in front would have been more comfortable. AusBT has a great roundup of the seat and cabin features in loads of detail here. The footrests were very usable too, and when sleeping I alternated between resting my legs on here and the ground as I couldn’t work out which I preferred – but I’m pretty tall, so most people would find them a good addition. 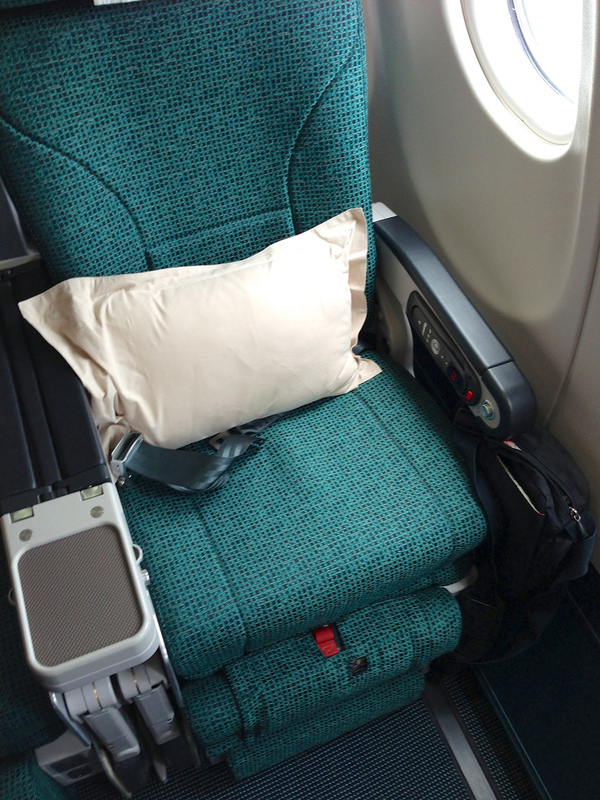 The Premium Economy cabin on Cathay’s A330’s that ply the Sydney to Hong Kong route is sandwiched behind a bulkhead, in-between the front of the Economy cabin and behind Business Class. It’s clever positioning as it’s very separated from Business, and more connected to Economy with just a non-structural divider between the two. Premium Economy passengers have to use the Economy bathrooms too. Having said that, especially further forward in the 4 rows of Premium Economy seating, the separating divider and drawn curtains between the two do create enough of a division for the Premium passenger. It’s not as great as the old configuration on Qantas A380’s where Premium is fully separate from Economy at the rear of the Upper Deck, but that’s changing / has changed on many aircraft by now so the difference is probably negligible. Comparing to Qantas, the seat was most definitely on par with Qantas offering – width, legroom and comfort were all comparable with no clear winner, although the more separate nature of the cabin on both Qantas 747 and A380s would mean they have the edge for me. The food on both legs was pretty good. 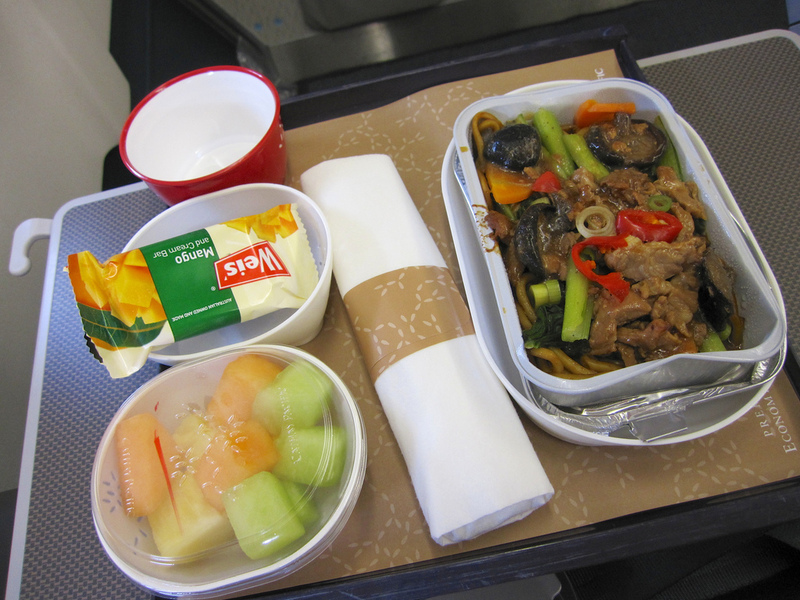 The main meal was catered from Business Class, while the secondary meal came from the Economy selection – the menus, if you’re interested, are below. The combination of pulling food from Business and Economy into Premium Economy worked well, and I assume for Cathay means having not to cater specifically for the Premium cabin as much as they’d have to otherwise. 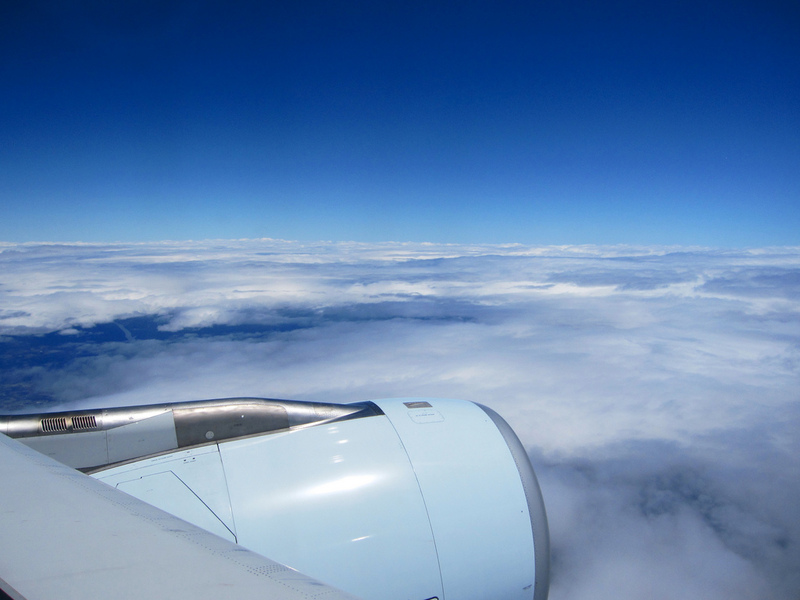 The service from the Cabin crew was unmemorable – I don’t mean that in a bad way, just that they did everything necessary to ensure good service, and no more. I think there just 2 crew who also flitted between Business class to service Premium Economy, and the odd Economy crew member also lent a hand. 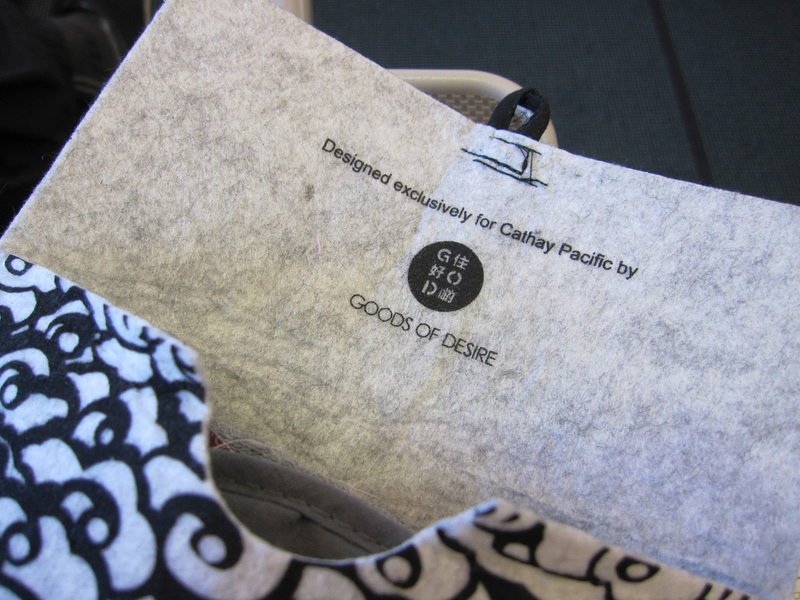 Premium Economy passengers also receive a lightweight amenity kit from Hong Kong retailers G.O.D., with a small number of the usual items. 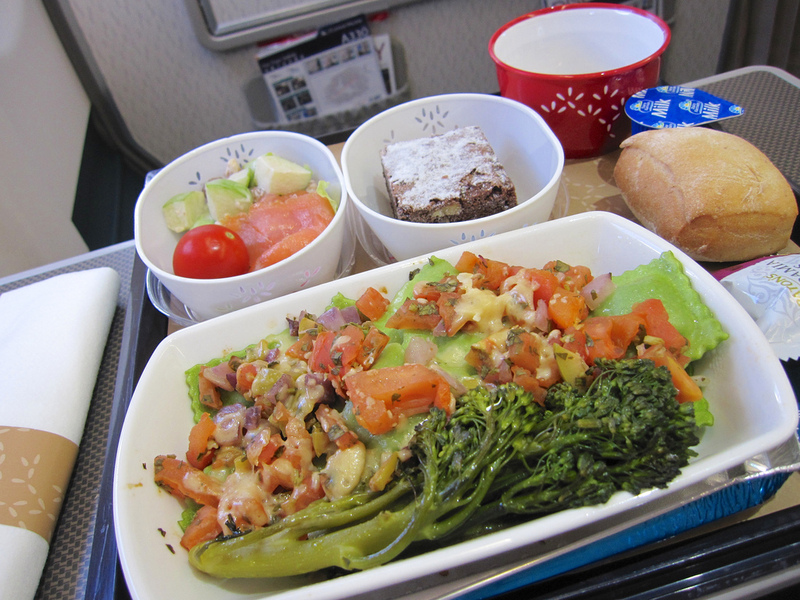 The service, and somewhat the food too, were tailored at a level just above Economy, but well below Business Class, which is probably a savvy and conscious decision to ensure Business Class travellers is not at risk for those who might be considering Premium Economy as an alternative. 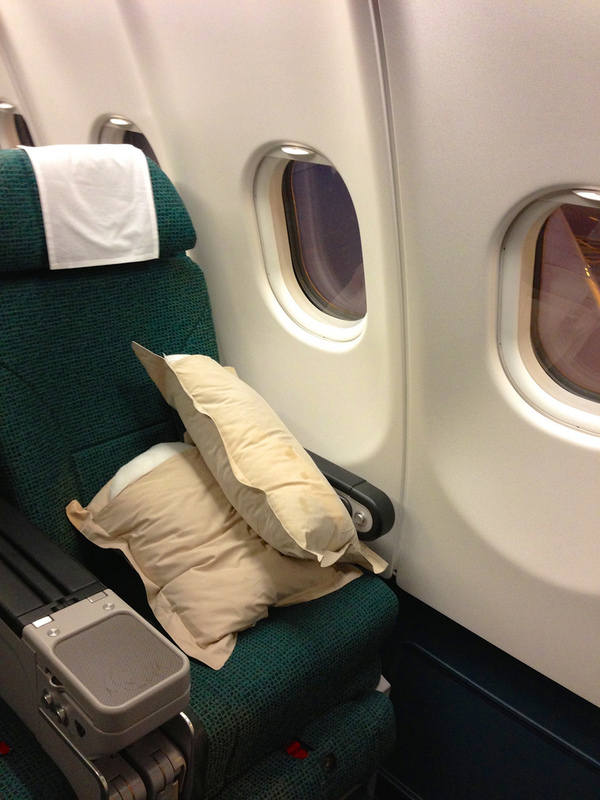 Cathay Pacific have done a good job in creating both of their new Business Class and Premium Economy cabins. While I found the Business Class cabin to be the best Business Class I’ve flown in, the Cathay Pacific Premium Economy cabin and service is little different to Qantas’ offering. 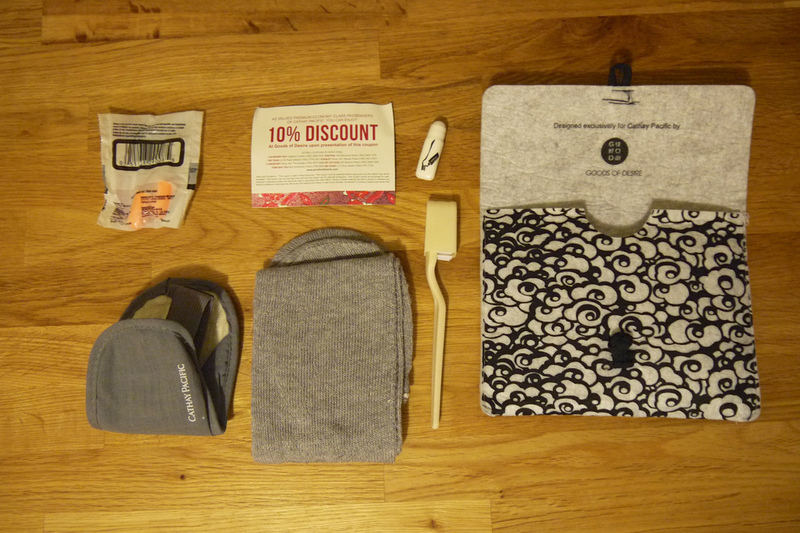 You could conclude that it’s hard to only differentiate so far and no more in Premium Economy, and that would be fair. 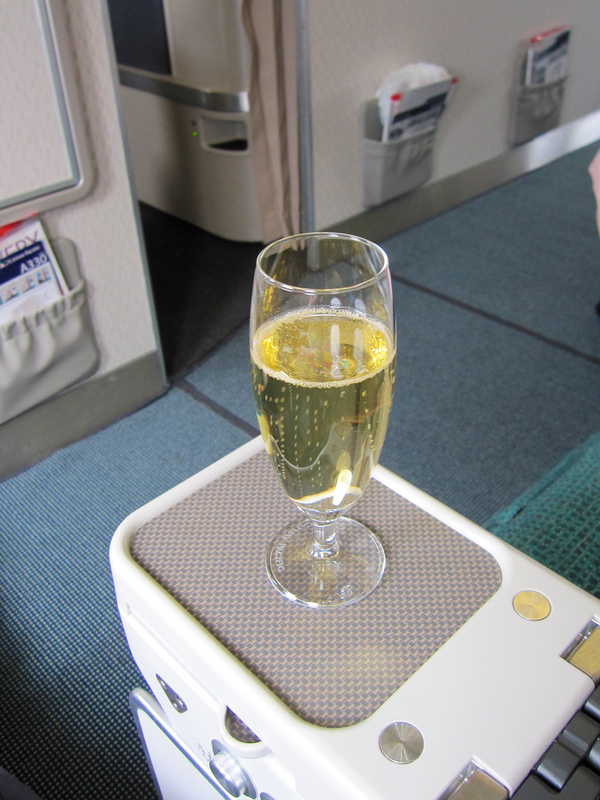 I’d have no hesitation booking with Cathay Pacific again in Premium Economy given points or budget restrictions keeping me away from their Business Class – and in fact I’m due to just that with my family from Hong Kong to London later this year. 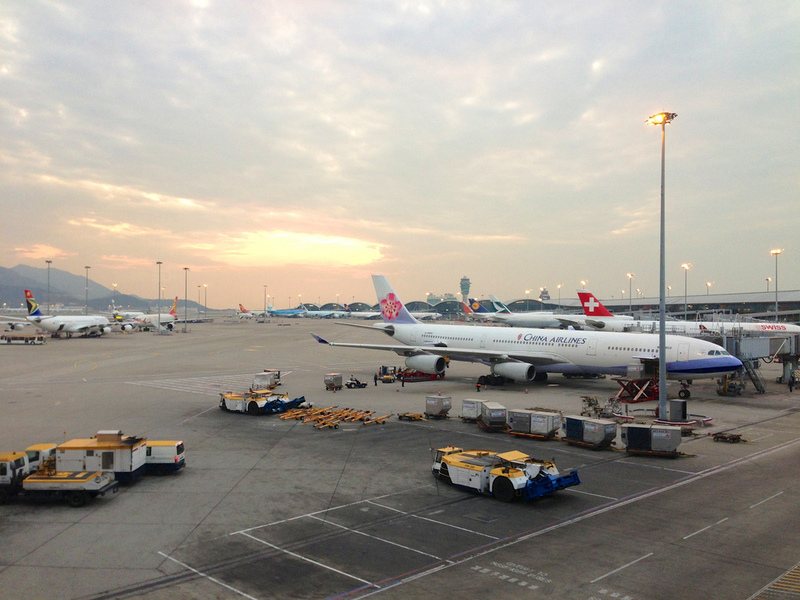 Hong Kong is a great airport to travel to and through if you’re in transit, especially if you have Qantas Gold or oneworld Sapphire status which will give you access to the excellent Cathay Pacific lounges, such as The Wing (review) and The Cabin (review). For the Qantas point collector looking to travel to Europe, Chicago or New York (where you’d have to one-stop at least with Qantas), Cathay Pacific is definitely a viable alternative use of your points, especially if you’d like to arrange a stopover in Hong Kong on the the way. 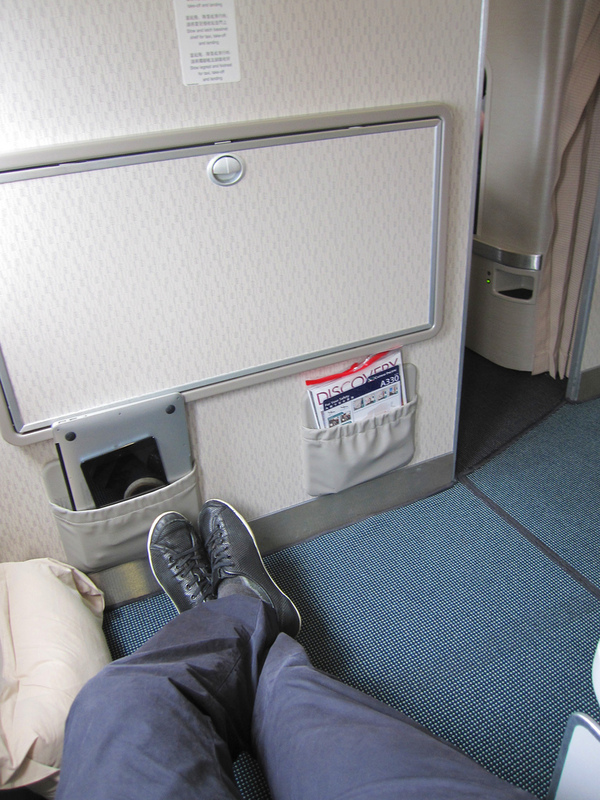 Redemptions to Hong Kong, one way, are 45,000 Qantas points in Qantas Premium Economy, or 52,500 Qantas points in Cathay Pacific Premium Economy. Given that Emirates don’t have a Premium Economy cabin, if you don’t want to be in Economy, don’t want to fly to London, and don’t have enough points for Business Class, Cathay Pacific is your only other option using Qantas Frequent Flyer points. Thankfully, it’s a great option to have, and in my experience availability to Cathay’s European destinations such as London and Paris is fairly good.